NEW YORK (Forex News Now) – While the Aussie hangs about at all-time highs, FX traders that are dollar bulls should be worried. There are several reasons for this, not least of which is the supportive bars that are appearing on the weekly chart of the Australian dollar / U.S. dollar pair. While forming a couple of hammers in a row on the weekly is more impressive at a swing low, signaling a change in direction, it can also show a lack of interest in selling a currency pair at a swing high (as pointed out by the red arrows on the attached chart). This seems to be the case with the Aussie dollar at the moment, as the pair has been shifting back and forth between the 0.9700 and 1.000 handles. 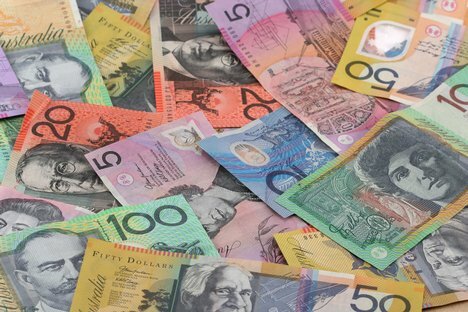 It seems that FX traders around the world are simply content with holding onto Aussie dollars. As shown by the lower of the two horizontal lines on the chart below, there has been significant buying at the 0.97 level. This lines up with previous all-time highs back in the summer of 2008, meaning this pair has done a complete round-trip over the last two years, and then some. Also of note are some of the fundamental reasons that this pair could go higher. It appears that both copper and gold, two of Australia’s biggest exports, are both going strong, as major uptrend lines have held. Add to this the uncertainty about “quantitative easing 2” by the Federal Reserve in the United States, which could devalue the U.S. dollar even more, and there will always be a bullish case to be made in owning metals, which in turn helps out the Aussie. While the recent move up has been pretty parabolic, it is possible for this pair to go higher, as the longer it “rests” at these levels, the more likely FX traders will find themselves becoming more and more impatient to join their fellow traders buying the AUD.